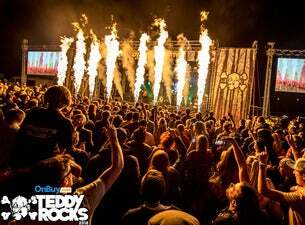 Teddy Rocks Festival returns in 2019! What started as a small gig in 2011 to raise money for the charity, Teddy20, has grown in scale over the years. Teddy20 is a children's cancer charity founded by Tom Newton and his family after he lost his 10-year-old brother Ted to a very rare bone cancer. 2019's line-up is yet to be revealed, but past line-ups featured Feeder, Twin Atlantic, Modestep, Mallory Knox and more incredible bands. Tickets are on sale now. All proceeds from the Teddy Rocks Festival go to Teddy20.